I've Become My Mother! 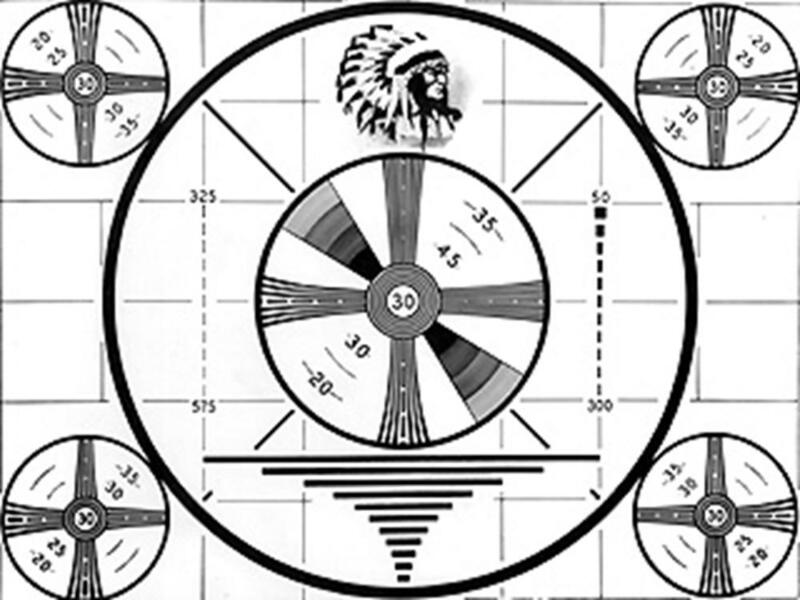 : Watching Test Patterns on Saturday Mornings..
And who could forget the Pink Panther??? Did You Watch Saturday Morning Shows? If so, What Was Your Favorite? I liked the cartoon Tom Slick. Inspector Gadget. We just had the rainbow color block and a high pitch signal- no fancy test patterns. 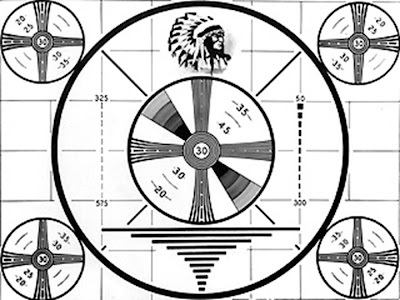 I remember the test patterns too. Do you remember the sign off at night, when they played the National Anthem? I remember watching Archie and the Pink Panther. I was sick a couple of years ago and up in the middle of the night, unable to sleep, so I popped on the TV and found Sigmund and the Sea Monsters on some weird cable channel, of course I stopped on that channel, entranced. I even remembered having seen the episode years and years ago! It was a hoot. I loved that show. Boy does that take me back! I watched American Bandstand and the Monkeys. Later in the day I watched Gilligans Island and the Partridge Family and Brady Bunch. Wow! This is taking me back! Let's see...Speed Racer and most of the stuff above...with a healthy dose of the Lone Ranger, The Virginian and Bugs Bunny! How fun! LOL, Land of the Lost was my favorite with Sigmond running a very close second. Next came The Bradys, The Flintstones, Gilligans and The Munsters! 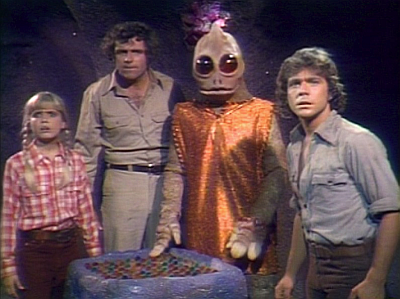 I loved the Land of the Lost and now that I have it on DVD my son loves it, though I am not as fond of it anymore. I also really loved the smurfs. When I was a kid I love to watch all great show they had on Saturday mornings just for us kids. I remember get a box of my favorite cold cereal like Quips, King Vitamin, Captain Crunch to name a few. Then I would into the TV room and watch my favorite Saturday morning show. Here are some of the shows I watched. 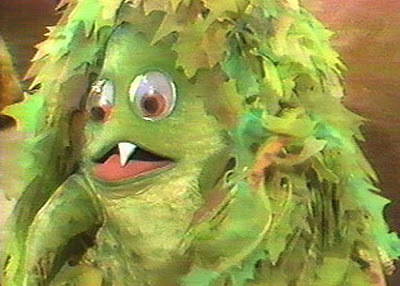 HR PufNStuf, Lids Ville, The Bugaloos, Banana Splits Show, The Archie's, Scooby Doo, School House Rock, Teen Age Mutin Niga Turtles, The Smurfs. The Flinstones, The Jetson, The Pebbles and Bam Bam Show. I wish they still had great like these today on Saturday morning. I forgot about the Bugaloos! My favs were the Monkees and HR Puffenstuff. If us girls got the tv (you didn't dare leave the room or the boys got control!) 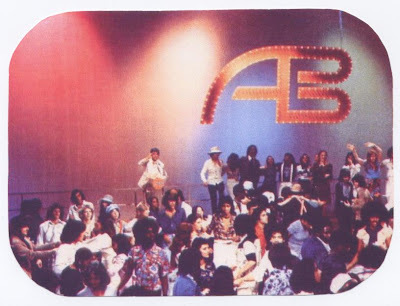 We would watch American Bandstand and Paul Revere and the Raiders.